Did you know that Daystar is committed to natural retirement living? 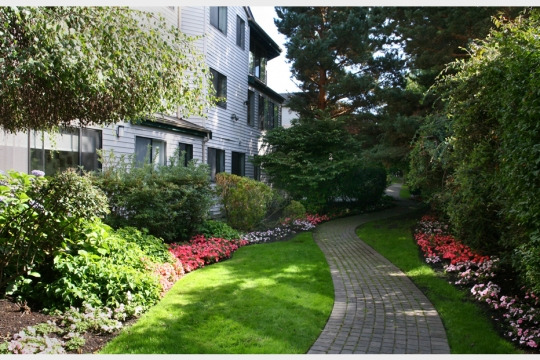 Any day residents can explore one of its many gardens, ever-lush surroundings—and even take a stroll on its walking path. This is good news, indeed, especially with a study suggesting that a walk in nature builds your brain as well as your body. A 2008 study at the University of Michigan explored the cognitive benefits of interacting with nature and found that walking in a park or wilderness setting can help improve memory and attention. Researchers Marc Berman, John Jonides and Stephen Kaplan found memory performance and attention spans improved by 20 percent after people spent an hour interacting with nature. According to an article on the University of Michigan website, the findings provide useful information for those suffering from mental fatigue. "Interacting with nature can have similar effects as meditating," Berman said. Though people tend to stay inside during the winter months, that might be exactly the time to get outside. "People don't have to enjoy the walk to get the benefits,” Berman said. “We found the same benefits when it was 80 degrees and sunny over the summer as when the temperatures dropped to 25 degrees in January. The only difference was that participants enjoyed the walks more in the spring and summer than in the dead of winter." In the experiment, participants were directed to either walk an urban route through downtown Ann Arbor or take a nature walk through Michigan’s Matthaei Botanical Gardens and Nichols Arboretum. When participants walked in the arboretum, they improved their short-term memory by 20 percent, but showed no improvements after walking down city streets. The researchers theorize that walking in nature is relatively effortless, allowing the mind to wander where it wants to go, permitting us to replenish our capacity to attend and thus having a restorative effect on our mental abilities.